This post is sponsored by Miracle-Gro and Bonnie Plants. All thoughts and opinions are my own, please see my full disclosure for details. We decided to start a garden this year as a family. My kids have been talking about it for MONTHS. I have to admit, I was pretty excited too. I haven’t had a garden since I was young, and we only ever planted flowers. 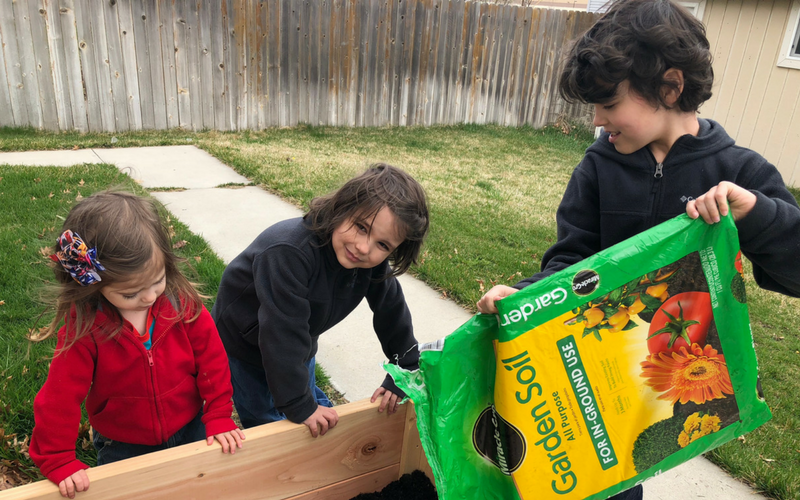 Spending the springtime outside as a family digging around in the dirt and growing real food sounded like a dream! Until I thought a bit more about my kids and dirt. I knew then what I needed to do. So we decided to make an autism-friendly sensory garden, just for the kids. I told my husband about my idea, and he was thrilled. See, before he became a stay-at-home dad, Chris was a builder through and through. He’d been getting a bit bored and needed something to do with his hands, so he was ready for a challenge. So not only did he make me a raised garden bed (so I don’t even have to bend down to garden!!) but he also made the kids their very own sensory garden to play, learn, and explore. What is a Sensory Garden, and Why Do I Need One? My son, A-Man, is pretty easy to spot at any park we go to. He’s the kid digging, always. If there’s a sandbox, he’s in it. If there’s bark, he’s digging in it. If there’s a dirt anywhere, he’s found it. That kid loves. to. dig. 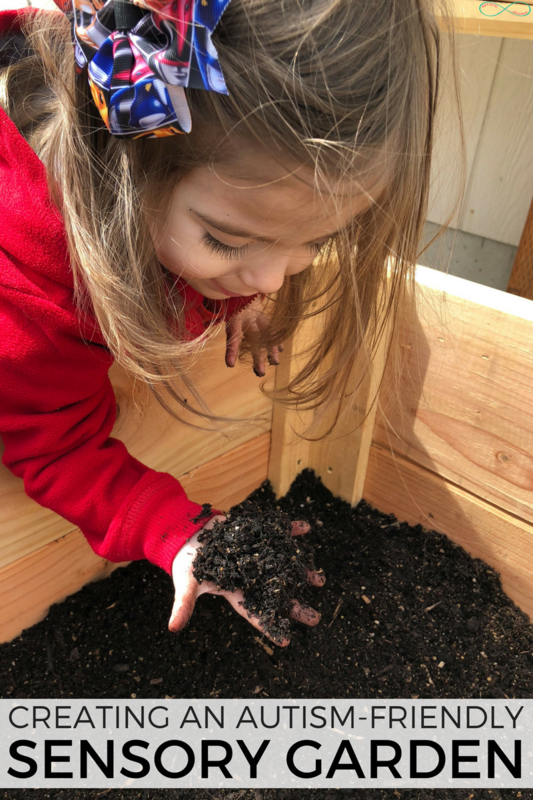 It’s such an awesome sensory experience to dig in the dirt. 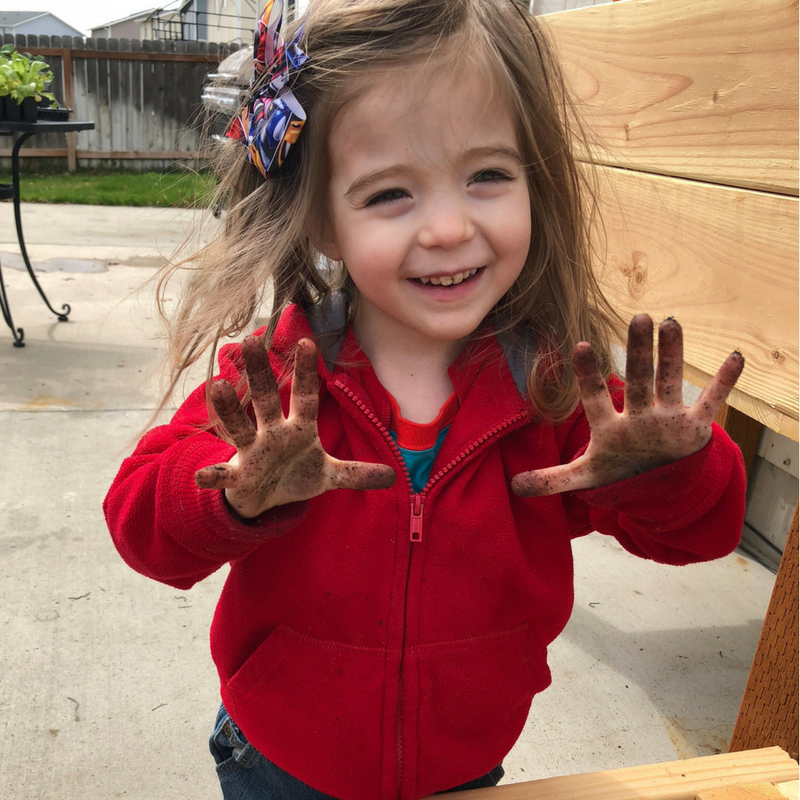 It feels good in your hands, it’s soft, and sometimes even tossing the dirt around is fun for kids. 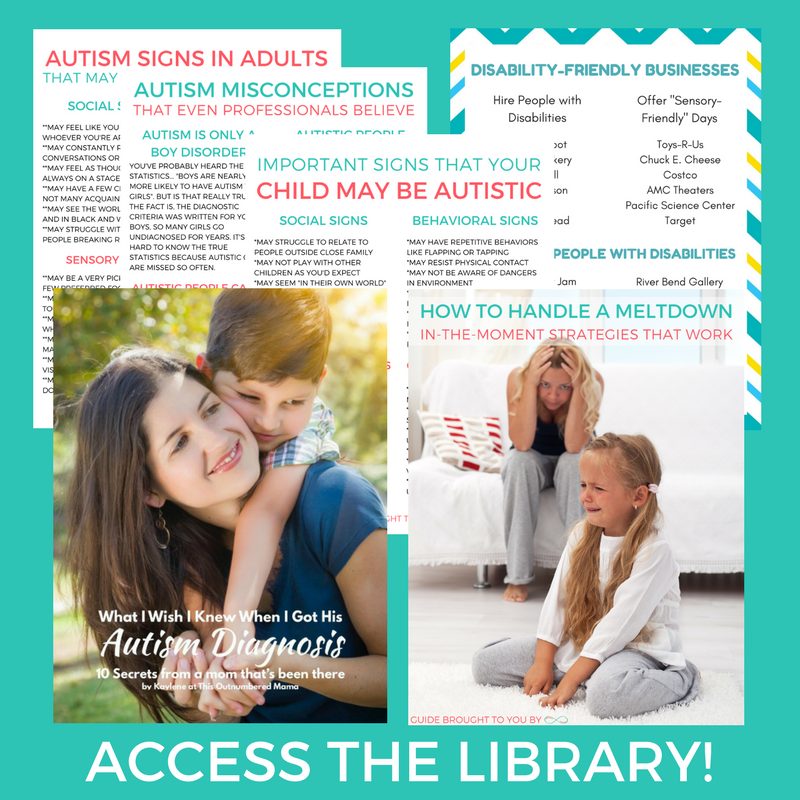 Especially autistic kids. 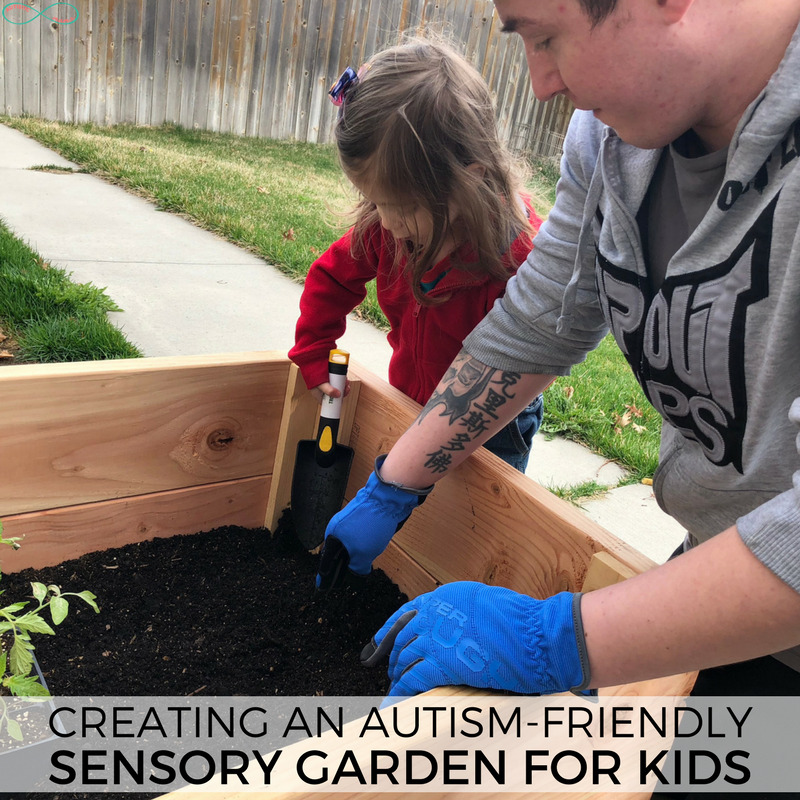 A sensory garden is basically a garden designed specifically to be sensory-friendly so that autistic kids can play in it and explore it, without fear of getting in trouble for not using behaviors appropriate for gardens. 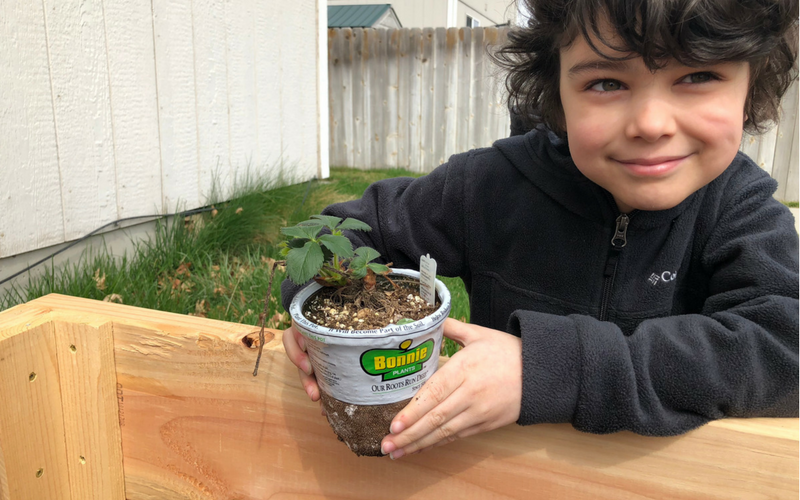 By keeping an autism-friendly sensory garden for the kids, I know that I can keep my own garden safe from their excitement. Really, it’s a win-win for everyone. For our sensory garden, we built a raised bed. Mostly because we’re renting our home, and we don’t want to damage the lawn for the next renters. So I’ll outline here exactly how we created our autism-friendly sensory garden, but you can definitely do this without building a raised bed! Three 8-foot pieces of 2×6 wood. 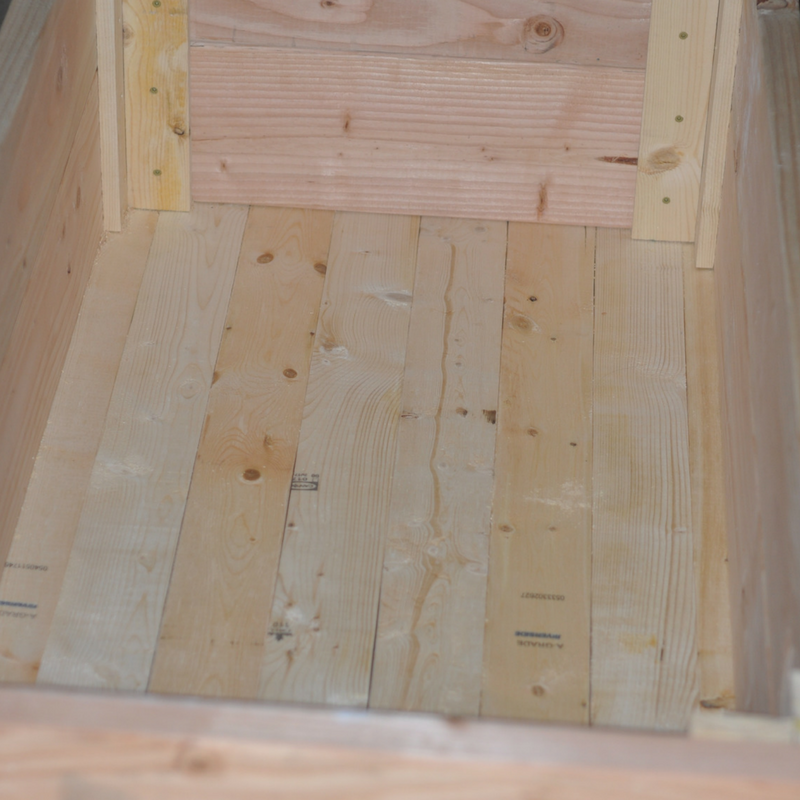 We used pine for our sensory garden box, but you can use whichever wood you prefer. Four 8-foot pieces of 1×4 wood. (Again, we used pine, but your favorite wood will work). Exterior Screws. We used 1 1/2 in. screws for ours. 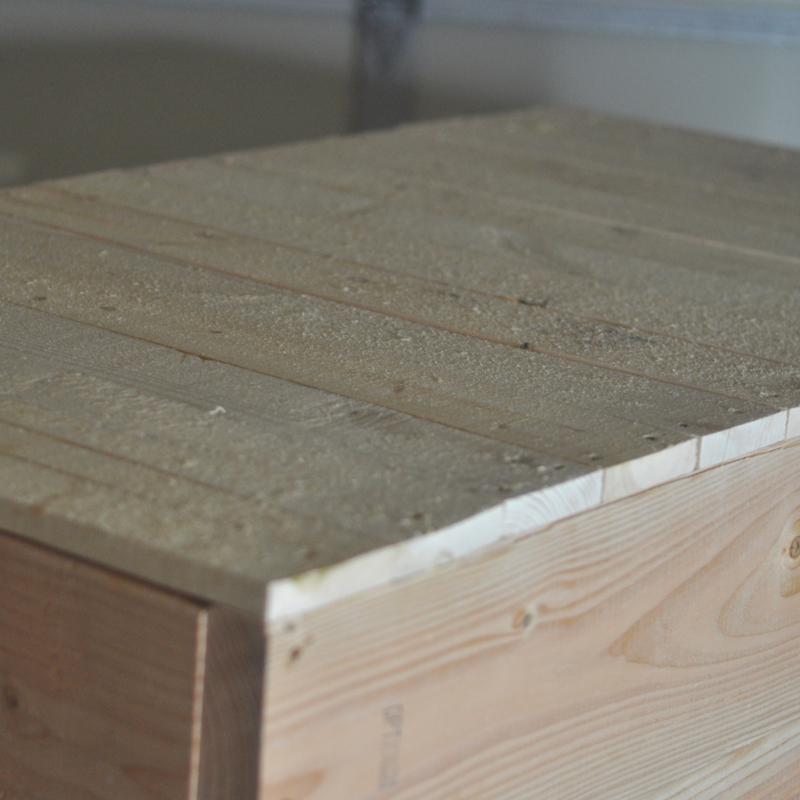 First, we took two of the 2×6’s and cut them in half, so we had four pieces of wood that were 4 feet long each. Then we cut the last 2×6 into fourths so that we had four pieces of wood that were 2 feet long. You’ll also want to cut one of the 1×4’s into one-foot sections, so we had eight pieces, and we cut the other three in half so they were 4 feet long. 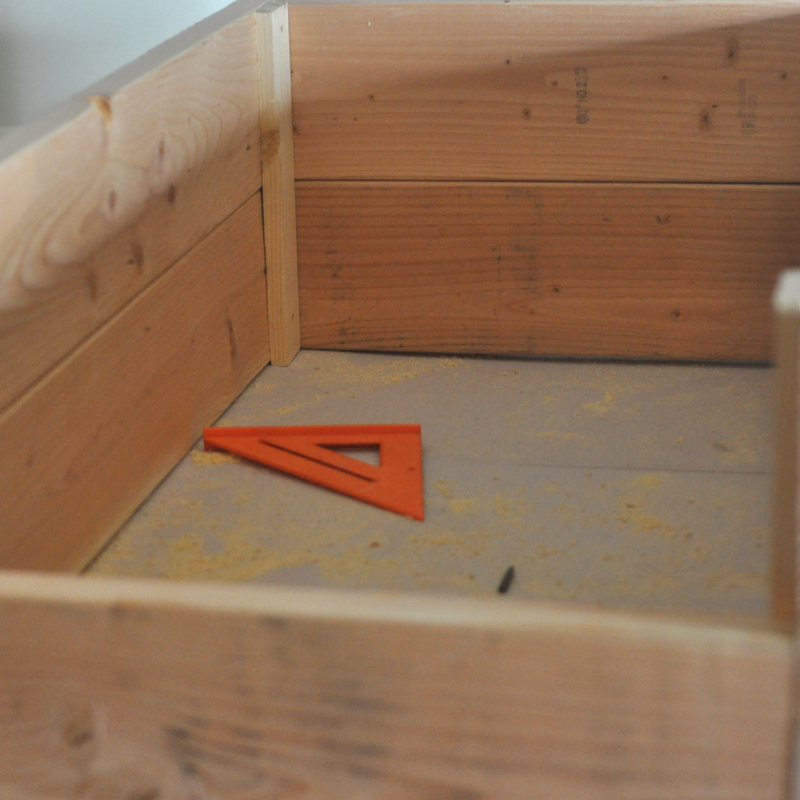 From there, we formed the rectangle for the box by attaching two of the 4-foot pieces to two of the 2-foot pieces. Then we repeated that step, forming a second rectangle. We stacked the two rectangles on top of each other. Then we took the foot-long 1×4’s and put two in each corner as bracers to connect the two rectangles. Finally, we attached the last 1×4’s along the bottom of our rectangle box by screwing them into the bottoms of the 2×6’s. Once you’ve done that, all you need to do is flip your box over so that the bottom is on the ground, and fill it up! 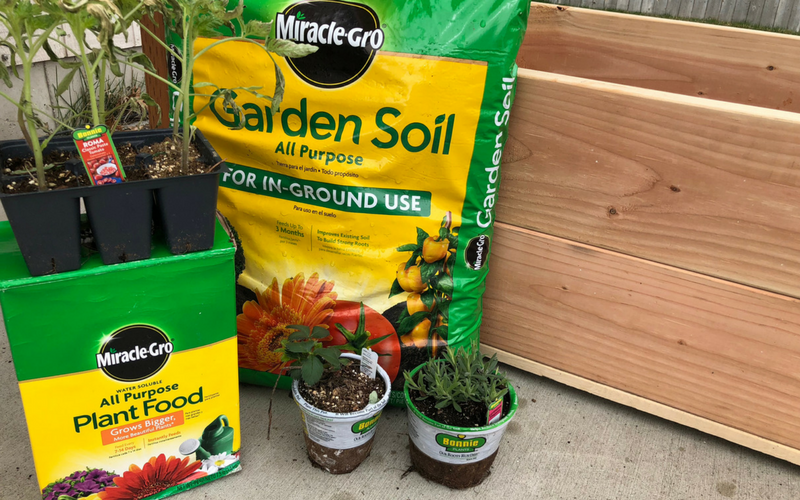 We added Miracle-Gro Garden Soil All Purpose Plant Food to the Bonnie Plants and let the kids have a blast playing in their very own garden! 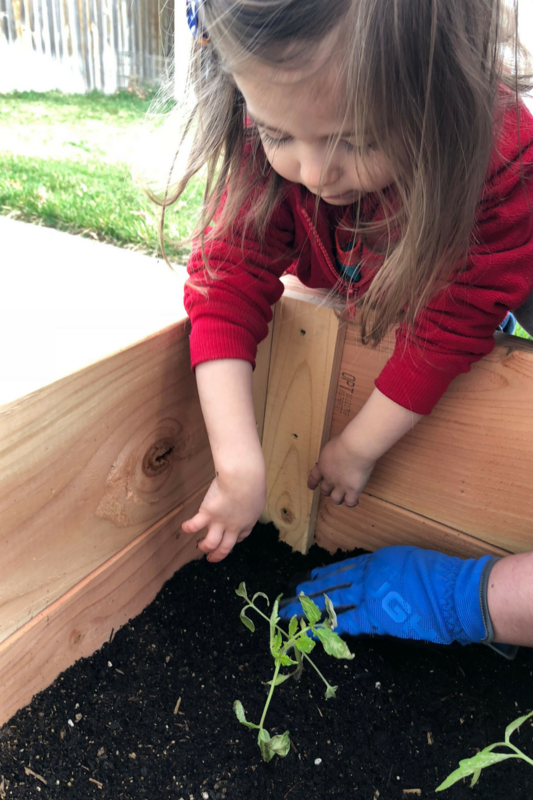 When you have your sensory garden made, you can have so much fun gardening with your kids! Have them go out with you whenever you go out to your own garden. Let them dig around in the dirt, water their plants, and play in their own way. 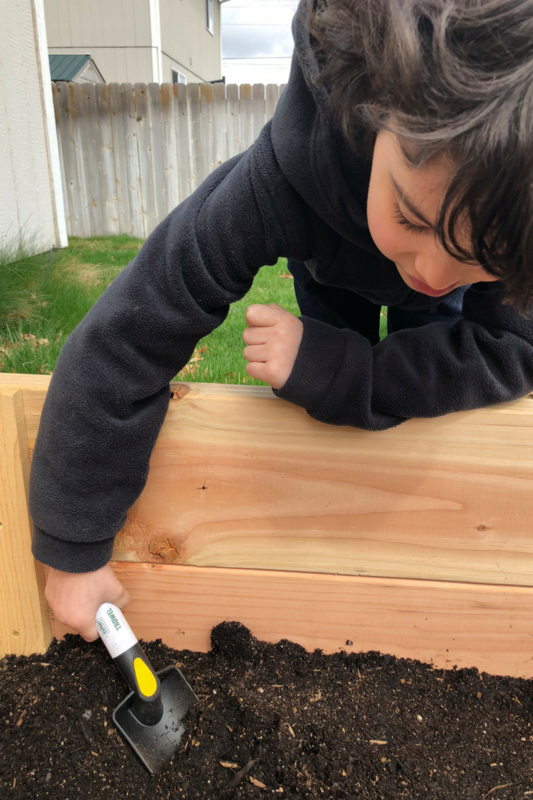 Our kids LOVE their sensory garden, and I never miss a day watering my own garden because they ask for theirs the second they get up each day! We use Miracle-Gro Garden Soil and All Purpose Plant Food in our autism-friendly sensory garden, along with Bonnie Plants. With this pair, even people who’ve never been able to successfully garden are sure to have a green thumb! Miracle-Gro is a brand that we trust. Alongside the All Purpose Plant Food, it also helps grow plants twice as big as unfed plants… Seriously, they’ve tested it! 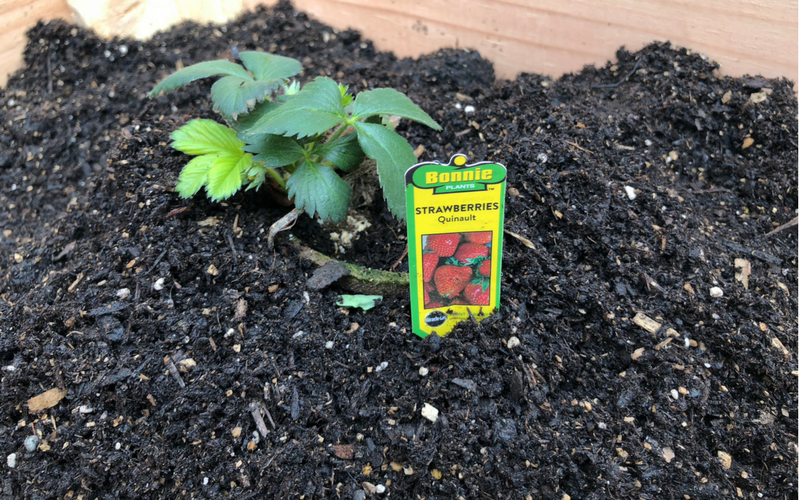 We also appreciated using the Bonnie Plants because my kids were able to instantly see a “garden” they made themselves (since these come as small plants, and not as seeds or bulbs). In addition to having such a great selection, we loved that it helped them see progress so quickly! I absolutely love this idea! Though my autistic daughter is incredibly picky with touch, I think my 4 year old would love a sensory garden. This is such a great idea and everyone seem to have fun too! Hi Kaylene, this is such a amazing idea! My kids also love to do gardening and they will have fun to do this. Thanks for sharing!